Come see us at the 2019 Grand Lake Boat and Sport Show! Get ready for the 2019 Grand Lake Boat and Sport Show, set for March 7-10 at the Grove Civic Center in Grove Oklahoma. 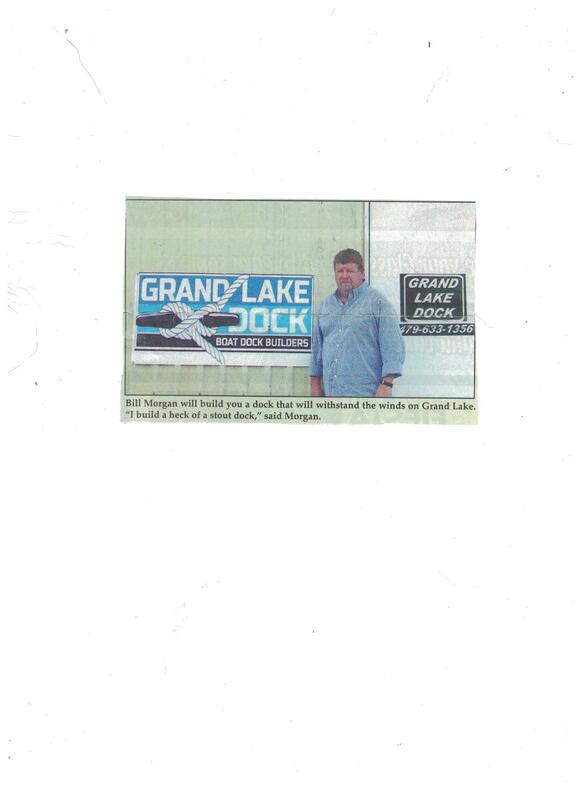 Owner of Grand Lake Dock Bill Morgan grew up in Washburn, Missouri, following in his father’s footsteps as a construction worker. He grew up building home and additions when things started slowing down in the construction of homes about 20 years ago that he would go into the dock building business. Bill and his friend decided to call upon a couple of dock companies in the area and see if any contractors were needed. The first company Bill called on was Superior Docks. He explained to them that his partner had built docks for one of the biggest dock companies in all of Missouri, Oklahoma, Kansas and Texas. “Superior Docks had its own dock building crew, but sked, “when can you start?” said Bill. “I told them we were available to start right then. The ordered their frame from LATCO, who build frames and sell them to different companies. They were purchasing them as a kit. “So we started putting up their boat docks. What it was taking their dock crews to do in a month, we were doing in four or five days, which made them money big time. Then we started having problems with the frames coming in and the holes not drilled properly. You would go to hook them up and you would have to re-drill the holes! So, we propositioned them and said, what about us building your frames? We build your frames; put them together and get the job done quicker. They liked the Idea and told us to give it a try. That was the best thing I ever did. I’ve been in the dock building business ever since. 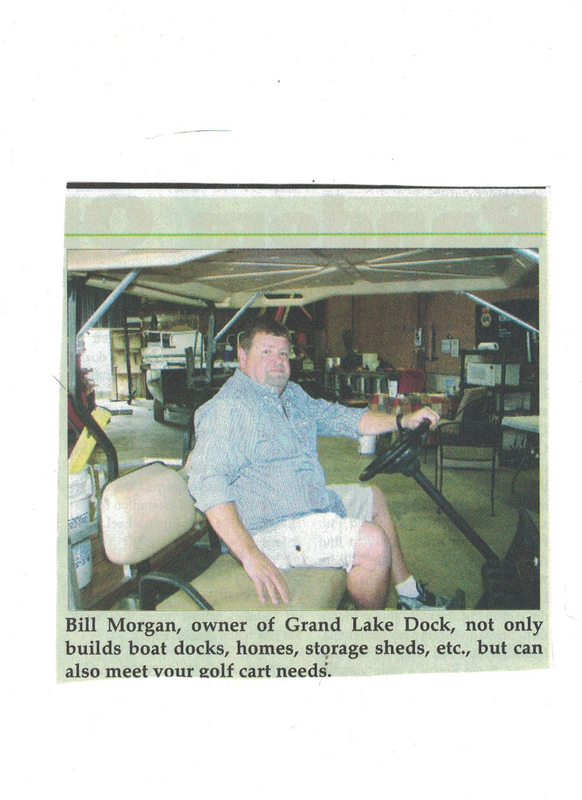 Bill Morgan does not limit himself to just dock building. He is still into construction of homes, buildings, storage sheds, anything that has to do with construction. He is also into selling golf carts! His shop is located at 453896 E. 305 Road, adjacent to Red Arrow Marina, in Cleora. He is on call 24/7, however he prefers working from 7:00 a.m. to 6:00 p.m. He prefers not to be working on weekends, as he would rather be fishing, but he is on call if necessary. He can be reached at 479-633-1356, or 918-219-3994. “I just want to make a good living here and put out one of the best docks on the water,” said Bill.